When you commit to a skin care brand, you want to be certain that it will continue to deliver the most advanced ingredients and proven formulations. By structuring your daily regimen around MATIS Products, you can be sure that your beauty routine will remain at the cutting edge of skin care technology. The laboratories that produce MATIS Products unite biologists, chemists, and estheticians with one goal: to produce the most effective skin care treatments. The team of specialists keeps up to date with developments in skin care technology. This ensures that they are aware of any new protocols or ingredients that could improve the treatments they create. By continuously improving the formulations, experimenting with new active ingredients, and listening to feedback from customers, this superior brand consistently delivers the best that science and nature have to offer. A rejuvenating facial serum with active botanicals and nutrients. 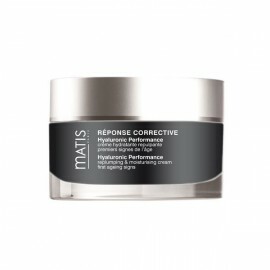 What it's used for: Matis Pa..
drinkable treatment that stimulates the skin beauty and increases every retail product and treatment..
Matis Reponse Corps Alcohol-Free Roll On Deodorant is the indispensable ally for all women thanks to..
Hydrates, nourishes and enhances dry and dehydrated skin. Deliciously luscious and non-oily, this ve.. This extremely nourishing, rich and creamy skincare product protects, softens and assuages skin unde..
Its firming effect and toning properties make this gel the ideal ally for preserving a beautiful, fi..
Strechmarks cream A formula exceptionally rich in restructuring and regenerating active ingredien.. Gentle exfoliating gel for body With marine extracts from paradisiacal locations, this gentle exf..
Cellulite cream Dimpled areas ? Orange-peel skin ? Cellulite can happen to all women ... eve.. 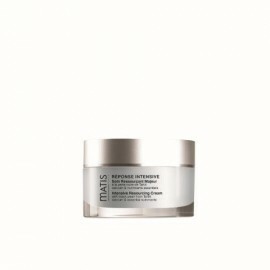 Intensive hydration cream 3 plant butters with nourishing, protective, softening and regenerating.. Gradual natural tan moisturiser. We all want radiant, apricot-coloured skin. 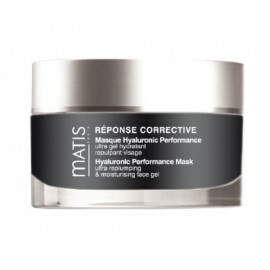 Matis has therefore ..
Slimming emulsion A new product with a multi-active formula for a slimmer body and more toned ski..
With its light yet ultra-nourishing “velvet glove” texture, Matis Reponse Corps Youth Ha..
Correcting cream that reduces the appearance of wrinkles and skin imperfections. Hyaluronic acid fil..
All the performance of hyaluronic acid in a smooth, light emulsion. What is the secret? The complete..
Smoothing Mask : true intensive treatment that helps smooth fine lines and wrinkles in one step . Th..
Filing concentrate for face - lines and wrinkles An instant new-generation plumping skincare, thi.. Relaxing and smoothing care With relaxing and smoothing benefits for the face, the WRINKLE CORREC..
Soothing concentrate for sensitive skin This serum is a basic treatment that acts as a solution f..
Face cleanser for sensitive skin The cleansing cream is a rich, comforting cleanser for daily use..
Chromatis is a mask that helps soothe sensitive skin, reduce redness and ease discomfort, changing c..
Soothing silky gel mask The face care mask is a true calming treatment that helps soothe sensatio..
Cleanser for sensitive skin Adapted to uncomfortable and delicate skin, the Face Lotion combines ..
Face lotion for sensitive skin The Lime Blossom Lotion is an alcohol-free skincare lotion that re..
Hydraregulating face cream This cream replenishes delicate and dehydrated skin with all the hydra.. The rich, granule-free peeling cream gently exfoliates even the most delicate skin. It gently elimin..
A high performance and complete treatment. This fresh, non greasy gel with its non sticky texture he..
Gently cleanses and exfoliates sloughing away dead, dull cells and readying skin for shaving. Refres.. This alcohol-free roll-on deodorant offers targeted application and provides effective protection ag.. Ideal for an invigorating shower, this 2 in 1 shower gel cleanses the skin and hair in one single st.. This fresh and non-oily gel soothes the eye contours and helps diminish the appearance of dark circl.. Formulated for mature skin, this lightweight high-performance cream draws its anti-ageing action fro.. This fresh, fluid and non-oily formula helps to lastingly hydrate the skin while matifying it with a..
After-shave balm This fresh and non-oily alcohol-free balm offers double action: it instantly cal..
Matis Reponse Temps Intensive Remodelling Care helps skin stay firm and fights slackening. With Mati..
emodelling mask A new answer in order to complete the offer of complementary products. Genuine .. 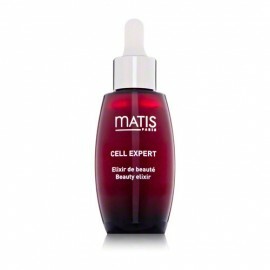 This treatment dedicated for mature skin, dynamises the cells regeneration and improves the quality ..
Matis Densifiance Serum is a genuine toning booster. 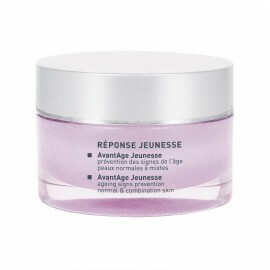 It has a high concentration of active restructu..
A compensating skincare product for mature skin, this intense comfort cream prevents and acts agains..
Matis Reponse Temps Le Decollete Restructuring & Firming Neck Cream has a unique formula of weav..
With age, skin becomes less nourished and more fragile. After sixty it tends to sag and crease. The .. 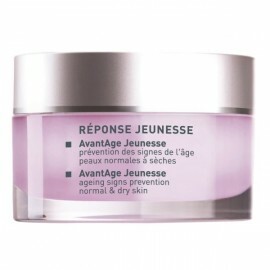 Specially designed for the extremely fragile eye contour, this global skincare product reduces the s..
25+ face cream for normal & combination skin MATIS presents its cosmetology revolution: Avant..
25+ face cream for normal & dry skin MATIS presents its cosmetology revolution: Avantage Jeun.. Protective day fluid for all skin types The new successful challenge of Matis: an invisible prote..
Climatic protective balm A rich and creamy texture with a balm effect to wrap the skin in extreme..
Face make-up remover for all skin types The very first skincare step, which is essential for last..
Face rinse-off cleanser for all skin tpes A water that instantly transforms into a rich, fine, ge..
Face toner for all skin types A skincare step to complete make-up removal and quench the skin&rsq..
Beauty youth cream for all skin types Enriched in mimosa extract, which is recognised for its soo..